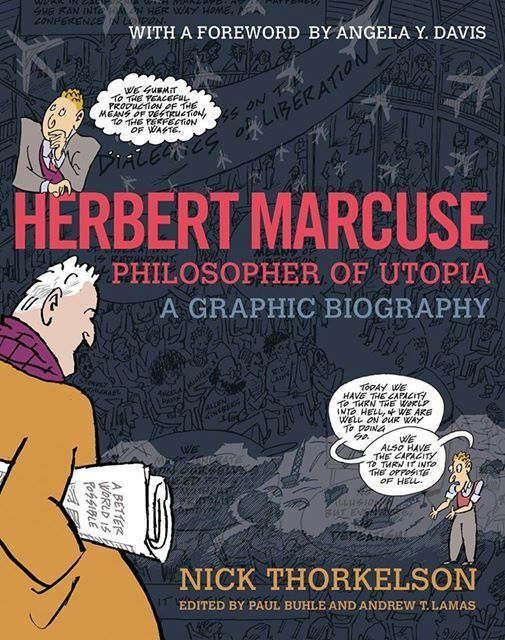 This comics-format biography brings Marcuse's life, work, and times to a new generation. 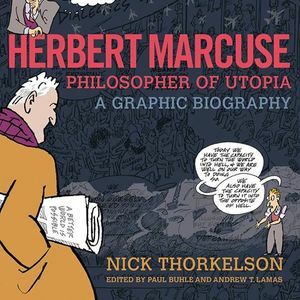 From his youth in Weimar Germany and early studies with Martin Heidegger, to his emigration from Nazi Germany along with colleagues of the Frankfurt School, to his rise as one of its major theorists along with Theodor Adorno and Walter Benjamin, to his status as a countercultural icon, readers are introduced to the theories and circumstances that made Marcuse into one of the world's most influential intellectuals. Mentor to a young Angela Davis and often referred to as the unofficial faculty advisor to the New Left, Marcuse's controversial critique of the "comfortable unfreedoms" of post-WWII capitalism entered popular consciousness with the 1964 publication of One-Dimensional Man, which sold over 100,000 copies in its first years in print. 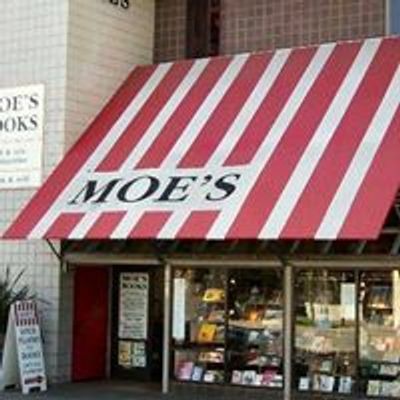 His argument for the possibility of a more humane and sustainable world was grounded in a personal knowledge of the violence of authoritarianism, and the risk of its resurgence. Perennially relevant, radical, and inspiring, Marcuse's concept of the Great Refusal —"the protest against that which is"—is a guide for our times.